3 bed. 1 bth. 966 sqmt. 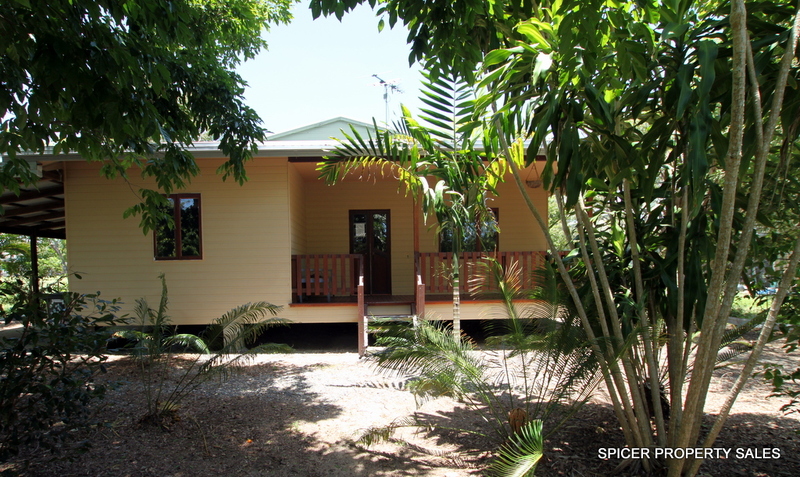 WEEKEND ESCAPE @TULLYHEADS - Ideal getaway and fishing haven, located in the renowned Cassowary Coast region of Far North Queensland…..
Slightly elevated 3 bedroom home on a generous, fully fenced approx. 966m2 block of land with a fully lockable 2 bay colorbond shed. 2 bedrooms with built-in robes. Master bedroom with double door opening on rear verandah. Open plan living & dining area featuring polished timber floor boards. Kitchen with timber benchtops, also with double door opening on rear verandah. Combined bathroom & toilet amenity with internal and external access. Cosy front porch and generous rear covered verandah/entertaining area, both featuring timber decking. Air-conditioners, fans & fluorescent lighting. Covered carport with concrete slab which doubles as an added entertainment area. Rear outdoor area with concrete slab & provision for shade sails. Established Landscaping & fruit trees.